Last weekend, the 2019 carnival season was rung in at the Parque Marítimo in Santa Cruz in front of around 1,200 spectators. During the gala, the 45 aspirants for the title of Carnival Queen introduced themselves to the audience. 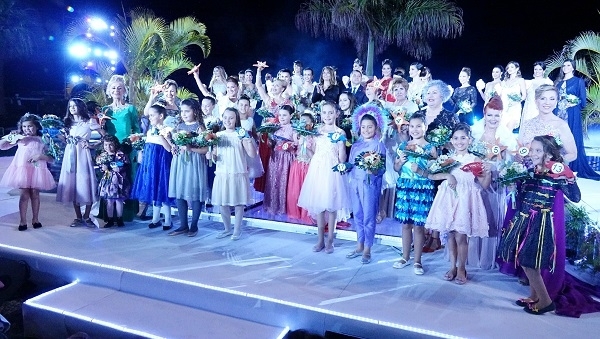 A total of 19 young ladies will compete for the title of Reina del Carnaval 2019. The gala, which will take place on February 27, will be enriched by the Venezuelan singer Carlos Baute as guest of honour. On February 17, the gala to choose the children's carnival queen will take place. In this election in which 17 girls are competing, the participant from the TV talent contest Operación Triunfo, Nerea Rodríguez, will perform. The election of the Senior Queen, in which nine ladies will take part, will take place on February 20. The programme will be presented by Yaneli Hernández. Produced with news.CMS in 0,0818 seconds.